New Delhi: On 15 February 2010 at 14:36 Gautam Khaitan dialled a London number +447788723571 from his mobile 981817166*. Christian James Michel was on the line. They spoke again at 18:07. Just a week before the chat between the two shadowy figures, the Indian government had signed the Rs 3,600 crore deal with AgustaWestland to buy 12 VVIP choppers. Khaitan is an advocate and one of the accused in the AgustaWestland VVIP chopper deal scandal while Michel acted as a middleman in the same dubious deal. Two years later in early February 2012, the deal exploded into a massive defence scam. A week later Spliid and one of the non-resident Indians working for Michel made two secret trips to Dubai, Michel's new base after he was barred from doing business in the UK. The sleuths probing into VVIP chopper scam have come across several such incidences to piece together solid evidence to prosecute the middlemen, who had allegedly swung the deal in favour of AgustaWestland. 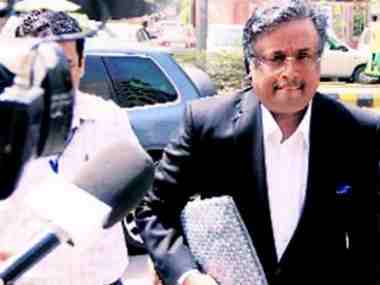 One of his Indian contacts, Khaitan was charge sheeted by Enforcement Directorate in July this year. There are other players who are accused in the bribery case including Guido Haschke, Carlo Gerosa and Tyagi brothers (former Indian Air Force chief SP Tyagi and his three cousins Sandeep, Sanjeev and Rajiv) but no one knows the secrets of shady dealing better than Michel, who was literally born into arms dealing. His father Wolfgang Max Richard Michel, a businessman, was also a consultant of AgustaWestland in the 1980s and had reportedly acted as a mediator in other countries too. Wolfgang Michel, fondly called Walters in the arms lobby, promoted three companies Entera Corporation, UCM International Trading Limited and Ferro-Imports Limited. Between 1987 and 1996, Entera Corporation reportedly earned more than £2 million from India. Michel virtually inherited his business and contacts in India from his father and got first big break in 2002 when he was employed by French company Dassault in Rs 2,500 crore Mirage fighter deal. 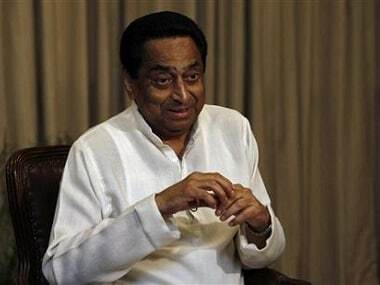 As he landed on Tuesday at the Palam airport around 10:35 PM after Dubai authorities cleared his extradition, he was driven to the CBI lock up and not the swanky house at Sainik Farms from where he had smoothly operated for years. Given that Michel was the single most important point of contact between AgustaWestland and Indian officials, the officials believe they may be able to unearth a larger network of lobbyist in India. 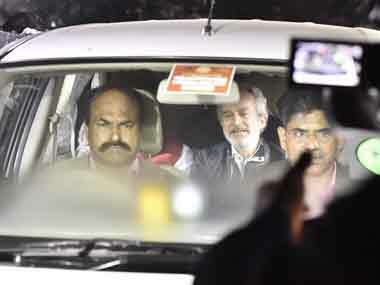 In days to come Michel will be confronted with documents recovered during raids by Swiss authorities and received by CBI through Letters Rogatory (LR) indicating the bribes paid by Michel to the Indian authorities including political figures for securing the contract for the supply of VVIP helicopters from AgustaWestland. Above all, he will be questioned about his linkages with Congress leaders allegedly named in an Italian court judgment in 2016. 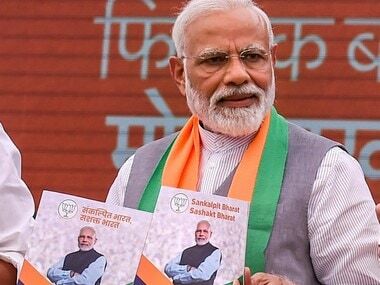 The 225-page judgment had revealed references to Congress leaders Sonia Gandhi, former prime minister Manmohan Singh, Congress leaders Ahmed Patel and Oscar Fernandes. On page 204 of the judgment, a 2008 letter seized from the home of middleman Haschke has been cited to argue in the court that key players were targeting top UPA leadership to swing the Rs 3,600 crore VVIP chopper deal. The letter was allegedly written by Michel to Peter Hulet, then India region sales and liaison head of AgustaWestland. Sonia Gandhi's name figures twice on page 193 of the judgment and once on page 204. On page 9 of the judgment is an interesting handwritten note on how total kickbacks were divided between political leaders, bureaucrats and air force officials in lieu of the deal. Michel is the man, CBI officials believe, who can decode the handwritten note cited on number 3 of Italian Court judgment mentioning about kickback amounting €15 to €16 million for 'Political', 'AP' and 'Fam'. The note also mentioned that bureaucrats in the government to be allotted €8.4 million while air force officials to be given €6 million. The investigative agency said Michel will be examined with respect to his involvement in the case and confronted with the documents including bogus transactions carried out by his firms, Global Trade & Commerce Ltd. London and Global Services FZE, Dubai to legitimise slush funds. According to CBI officials, the chase to nab Michel started in 2014 and in September 2015, a non-bailable arrest warrant was issued against him. In November 2015 a Red Corner Notice was issued and his first arrest by UAE authorities in February 2017 brought the focus back on him. Although he managed to wriggle out from the legal tussle in UAE, the CBI requested for extradition on 19 March 2017 through diplomatic channels. Months later on 1 September 2017, a charge sheet was filed against him and the trial court took cognizance of the offences on 11 October 2017. “Extradition proceedings were held before UAE Court against Christian Michel Vide order dated 19.11.2018, the Court of Dubai upheld the lower court decision for the possibility of extraditing Michel to Indian Authorities,” said a CBI official.